Well, now you can relive those golden days with a geeky twist. 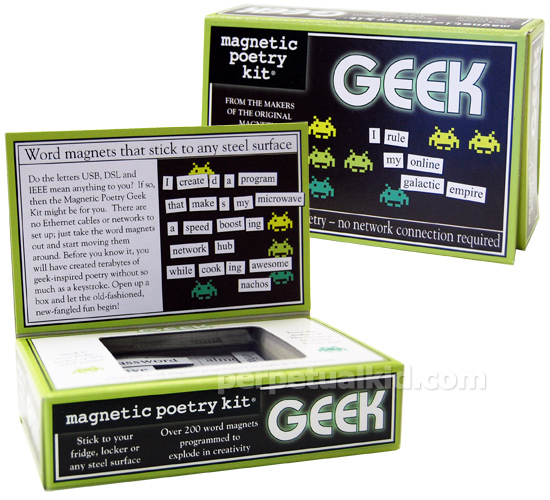 Check out this Geek Poetry Magnet: with terms like "download," "software," "networking," etc, these magnets will help you get all those geeky thoughts out of your head and onto your fridge. For the giftee who needs to be both pithy and geeky at the same time!